"...This is my beloved Son, in whom I am well pleased." St. Matthew 3:17 Jesus came into the world, lived under great hardships and died on the cross to satisfy His Father. What have you done to please Him? "But a certain Samaritan, as he journeyed, came where he was: and when he saw him, he had compassion on him, And went to him, and bound up his wounds, pouring in oil and wine, and set him on his own beast, and brought him to an inn, and took care of him." St. Luke 10:33, 34 This is like Jesus. He always comes to where we are with all that we need and just in time. Don't worry about the ones who have passed you by. Think about the One who has gone all the way for you. "Jesus saith unto him, I am the way, the truth, and the life: no man cometh unto the Father, but by me." John 14:6 Jesus is the way to eternal life and any detour that we make for ourselves will only lead to a dead end. Ask Him boldly now to bless you with His presence and He will. "Behold, I stand at the door and knock: if any man will open the door, I will come in." "... Never man spake like this man." St. John 7:46 No one ever talked like Jesus; no one ever walked like Jesus; no one ever cared like Jesus. "This Jesus hath God raised up, whereof we all are witnesses." Acts 2:32 Death, man's most dreaded enemy, has become a servant instead of a slave master, all because of the love of God and the sacrifice of His Son. "Oh death, where is thy sting?" "Because I live, ye shall live also." ". .. What manner of man is this, that even the wind and the sea obey him?" St. Mark 4:41 Man can report the weather, but only God can do anything about it. Turn your storm-tossed life over to the One who will banish every fear. "Fear not, I am with thee." "And the men that held Jesus mocked him, and smote him." St. Luke 22:63 Today, Jesus is mocked and crucified anew by unbelief and indifference by a self-sufficient world and a lukewarm Church. "Jesus said unto her, I am the resurrection, and the life: he that believeth in me, though he were dead, yet shall be live." St. John 11:25 Jesus conquered death and claims the same victory for all who confess Him as Saviour. "O death, where is thy sting? O grave, where is thy victory?" "But God commendeth his love toward us, in that, while we were yet sinners, Christ died for us." Romans 5:8 The Lord takes us as we are to make us what we ought to be and what we really want to be. Christ is not only the answer, but the difference. "Jesus Christ the same yesterday, and today, and for ever." Hebrews 13:8 Once a person really believes that Christ is the same, he himself will never be the same. "If we suffer, we shall also reign with him: if we deny him, he also will deny us." II Timothy 2:12 Don't put the Lord in the background here and expect Him to make a fuss over you in Heaven. The Saviour that you deny here will be the Saviour that you will meet in eternity. "But God forbid that I should glory, save in the cross of our Lord Jesus Christ..." Galatians 6:14 The cross is a constant reminder that we are helpless in the saving of our own soul. It was Christ who died and rose again to put eternal hope within reach of all. "... His name shall be called Wonderful, Counsellor, The mighty God, The everlasting Father, The Prince of Peace." Isaiah 9:6 Him today! He has been true of His name and true to His Word. He is qualified to help you in every area of life. Trust Him! "Who his own self bare our sins in his own body on the tree..." I Peter 2:24 The sins of the whole world were borne by the Saviour, but every person must come individually to the cross to secure the pardon. He will set you free. "I am that bread of life." St. John 6:48 Only the Saviour can fully satisfy the longing soul and the burdened heart. He still feeds the hungry multitudes in life's wilderness. "I am he that liveth, and was dead; and, behold, I am alive for evermore, Amen; and have the keys of hell and of death." Revelation 1:18 The living Christ is at the right hand of the living God, ready to save a world dead in trespasses and sins. "The thief cometh not, but for to steal, and to kill, and to destroy: I am come that they might have life, and that they might have it more abundantly." St. John 10:10 God is for us having the good things of life. This is why Jesus came. Why settle for less? "And from Jesus Christ, who is the faithful witness, and the first begotten of the dead, and the prince of the kings of the earth. Unto him that loved us, and washed us from our sins in his own blood, And hath made us kings and priests unto God and his Father; to him be glory and dominion for ever and ever. Amen." Revelation 1:5, 6 There was only one way to deal with the sin problem, and Jesus became the answer. Turn it all over to Him. The cleansing is complete and it is free. He is faithful and just to cleanse us from all sin. "But God commendeth his love toward us, in that, while we were yet sinners, Christ died for us. Much more then, being now justified by his blood, we shall be saved from wrath through him." Romans 5:8,9 The death of Jesus could not wait on our decision. He died in advance of what we would do. Even at this late date, "What will you do with Jesus?" "In the last day, that great day of the feast, Jesus stood and cried, saying, If any man thirst, let him come unto me, and drink." St. John 7:37 Here is the real thirst slayer. If you are weary of the desert and tired of the search, turn to the Divine Saviour who will meet your need and forgive your sins. "And always, night and day, he was in the mountains, and in the tombs, crying, and cutting himself with stones. But when he saw Jesus afar off, he ran and worshiped him." St. John 5:5,6 Here is the story of a man who got tired of living in the scary surroundings of the tombs and came to the Saviour for relief. Are you living on an island in the tombs of fear and doubt? There is more to life than that. Jesus is coming your way. Receive Him. "Now when he was in Jerusalem at the passover, in the feast day, many believed in his name, when they saw the miracles which he did." St. John 2:23 He was a miracle worker then. He is a miracle worker forever. "Jesus Christ the same yesterday, and today and forever." "He that believeth on him is not condemned: but he that believeth not is condemned already, because he hath not believed in the name of the only begotten Son of God." St. John 3:18 The unbeliever's future is already settled. Only an act of faith in the acceptance of Jesus Christ can regenerate him and reverse his destiny. "Jesus answered and said unto him, What I do thou knowest not now; but thou shalt know hereafter." St. John 13:7 It's not all that important that we know all that He does, so long as we are sure we know Him." "But as many as received him, to them gave the power to become the sons of God, even to them that believe on his name." St. John 1:12 Our right relation with God is contingent upon what we do with His Son. "And lo a voice from heaven, saying, This is my beloved Son, in whom I am well pleased." St. Matthew 3:17 It seems so incredible that so much of earth should ignore what all of Heaven has endorsed. "God so loved the world that he gave his Son." "But as many as received him, to them gave the power to become the sons of God, even to them that believe on his name." St. John 1:12 A strained relationship between you and the Saviour is a sure separator between you and God. Jesus said, "No man cometh unto the Father, but by me." "Who his own self bare our sins in his own body on the tree,that we, being dead to sins, should live unto righteousness: by whose stripes ye were healed:" I Peter 2:24 The death of Jesus Christ upon the cross carried with it an atonement for soul and body. The sad report of so many of us is that we are reluctant to trust Him for either. "And she shall bring forth a son, and thou shalt call his name Jesus: for he shall save his people from their sins." St. Matthew 1:21 The whole world can sympathize, but only Jesus can save. Jesus saves, keeps and satisfies. "The thief cometh not, but for to steal, and to kill, and to destroy: I am come that they might have life, and that they might have it more abundantly." St. John 10:10 Life really begins at the age when the "Rock of Ages" takes over. Contrary to what you may think, the Lord is in favor of you having more of life, not less, and more reason to live it. You can live it up all the way to Heaven. "And being found in fashion as a man, he humbled himself, and became obedient unto death, even the death of the cross." Philippians 2:8 We must never forget that it took Christ going to the cross to cancel out our sins. It is not until we come to Him that we become a part of what He has provided. "In whom we have redemption through his blood, even the forgiveness of sins." Colossians 1: 14 In Jesus, we have redemption, release, reward, and the revelation of the Father. It's all in Him and, without Him, all is in vain. "But as many as received him, to them he gave power to become the sons of God, even to them that believe on his name." St. John 1:12 We become a part of the family of God based on our relations with His Son. "But thanks be to God, which giveth us the victory through our Lord Jesus Christ." I Corinthians 15:57 Too much time is spent in planning battles and fighting wars that have already been won. Take what He gives and give what He asks. "Jesus, when he had cried again with a loud voice, yielded up the ghost." St. Matthew 27:50 We must never forget that Calvary was full of pain as well as pardon. "Christ suffered for us." "I am that bread of life. Your fathers did eat manna in the wilderness, and are dead. This is the bread which cometh down from heaven, that a man may eat thereof, and not die." St. John 6:48-50 There is no hunger like soul hunger, and there is nothing that will satisfy it but the Saviour. "Come and dine, the Master calleth...come and dine." "But this cometh to pass, that the world might be fulfilled that is written in their law, They hated me without a cause." St. John 15:25 Don't be so hard on people who rejected the Saviour in the past. If up to this point you have not accepted Him, you are in the same company. Why have you rejected Him? Right now, ask Him to come into your heart and He will. "For other foundation can no man lay than that is laid, which is Jesus Christ." I Corinthians 3:11 Nothing can be added to what our Divine Advocate did. To mix anything manmade as a means of our Salvation is to insult God and sink all hopes of our eternal life with Him. "And when he was accused of the chief priests and elders, he answered nothing." 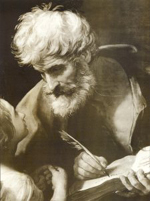 St. Matthew 27: 12 The answer of Jesus was in His submission to the crucifixion for the sins of all. By His death and resurrection, He is still speaking to all who are bound in sin and seeking to go free. "And they spit upon him, and took the reed, and smote him on the head. And after that they had mocked him, they took him, they took the robe of from him, and put his own raiment on him, and led him away to crucify him." St. Matthew 27:30,31 While it may seem unbelievable that it could happen, it is equally unbelievable that so many could forget it! "Christ died for our sins." "Jesus said unto her, I am the resurrection, and the life: he that believeth in me, though he were dead, yet shall he live." St. John 11:25 Keep remembering that He is the giver of life and the master of death. "Because I live, ye shall live also." "And daily in the temple, and in every house, they ceased not to teach and preach Jesus Christ." Acts 5:42 He was all of it! If we are to experience what they enjoyed, the emphasis must again be placed upon Jesus. "Neither is there salvation in any other: for there is none other name under heaven given among men, whereby we must be saved." "And he saith unto them, Why are ye fearful, O ye of little faith? The he arose, and rebuked the winds and the sea; and there was a great calm." St. Matthew 8:26 No man can afford to face the storms of life without the Divine Captain. His presence alone brings calmness, confidence, and courage. "For had ye believed Moses, ye would have believed me: for he wrote of me." St. John 5:46 The whole world of God revolves around His Son, our Saviour. Our whole destiny depends on what we believe about it and what we do about it. "If ye believe not that I am he, ye shall die in your sins." "Jesus saith unto him, I am the way, the truth, and the life: no man cometh unto the Father, but by me." St. John 14:6 Jesus is not a way among many ways, but the way. How foolish to look for detours. "Jesus saith unto her, Woman, why weepest thou? Whom seekest thou?"St. John 20:15 The only One who can heal the broken heart is interested in every tear and every trial. "He careth for you." "He maketh me to lie down in green pastures: he leadeth me beside the still waters." Psalm 23:2 Only the Saviour can take the strain out of life... and the fear out of death. "Now unto him that is able to keep you from falling, and to present you faultless before the presence of his glory with exceeding joy." Jude 24 He is not only a Saviour, but a keeper. "Praise ye the Lord." "Jesus saith unto him, I am the way, the truth, and the life: no man cometh unto the Father, but by me." St. John 14:6 No man ignores the Son and reaches the Father. "He that believeth not the Son shall not see life; but the wrath of God abideth on him." "Come, see a man, which told me all things that ever I did: is not this the Christ?" St. John 4:29 It is a sobering thing to know that the One you may be rejecting knows you so well and holds the power of life and death over you. "And she brought forth her firstborn son...and laid him in a manger; because there was no room for them in the inn." St. Luke 2:7 Our lives are like inns along the road of life, and Jesus is still at the door, waiting to come in and occupy His rightful place. Make room for Him. "Thomas saith unto him, Lord, we know not whither thou goest; and how can we know the way?" St. John 14:5 Jesus saith unto him, "I am the way, the truth, and the life: no man cometh to the Father, but by me." "And Mary said, My soul doth magnify the Lord." Luke 1:46 How wonderful it would be if we stopped magnifying the church, creeds and the credentials of man, and simply magnified Jesus Christ. "Seeing then that we have a great high priest, this is passed into the heavens, Jesus the Son of God, let us hold fast our profession." Hebrews 4:14 There is nothing on the earth that our Saviour in Heaven can't handle. He ever liveth to make intercession for us. "To whom also he shewed himself alive after his passion by many infallible proofs, being seen of them forty days, and speaking of the things pertaining to the kingdom of God." Acts 1:3 It is a matter of record that He lived, died, and rose again. He now lives at the right hand of the Father and in the hearts of believers. "He is risen, as he said." "For unto us a child is born, unto us a son is given: and the government shall be upon his shoulder: and his name shall be called Wonderful, Counsellor, The mighty God, The everlasting Father, The Prince of Peace." Isaiah 9:6 The world would breathe easier if God had more of a part in the governments today, and as for that matter, if He had more of a prominent part in our churches. "Beware lest any man spoil you through philosophy and vain deceit, after the tradition of men, after the rudiments of the world, and not after Christ." Colossains 2:8 If what you know or hear in the name of Christianity does not exalt Christ and glorify God, put it down as man made and not Heaven sent. The Holy Spirit is our ally of discernment and will direct us. "Who is he that condemneth? It is Christ that died, yea rather, that is risen again, who is even at the right hand of God, who also maketh intercession for us." Romans 8:34 We need to keep remembering that it was Jesus who died for our sins, and that He is alive, forevermore interceding for us. "And whatsoever ye do in word or deed, do all in the name of the Lord Jesus, giving thanks to God and the Father by him." Colossians 3:17 If we want to make what we do count, it must be done in Christ's name and for His cause and with thanks. "In who we have redemption through his blood, even the forgiveness of sins." Colossians 1:14 Nothing less and nothing more can settle the sin question in our lives. The blood of Jesus Christ, God's Son, cleanseth us from all sins. The application is in acknowledging that He died for us and we cannot really live without him.